The only time a house plant needs repotting is when roots begin to appear through the bottom of the pot. The plant is then turned upside down and the rim of the pot is tapped on the edge of a table so that the plant slides from the pot and rests on your fingers. Because most pot plants object to too much root space, the plant is transferred to a clean-scrubbed pot only slightly larger than the one in which it formerly grew. Pieces of pot or pebbles go in the bottom for drainage and some soil is placed over them. Without breaking the root mass, potting soil is pressed firmly around it. 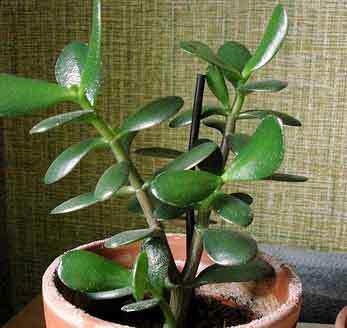 For efficient watering and fertilizing, the plant must be centered in the pot, its crown 1 inch below the rim. Remember, a plant is much more likely to fail from being placed in too large a pot than from being slightly root-bound. I received a rubber tree plant in December. I have followed all the things about light and water. A few leaves are beginning to drop off but new growth is appearing also. There is a woody root circling the top of the original pot. It is time to repot? I have Miricle Grow potting mix – it that suitable for this plant? It is a lovely plant. Any advice you could give me to keep it growing for a long time would be greatly appreciated. Thank you. Do Peace Lily plants do well outdoors? Peace lilies can do well outside but they need protection.